Ghosts are unique opponents that appear on the Global Map. Their health pool is determined by their level. Level 1 Ghosts are the most vulnerable, while level 6 Ghosts pose the greatest threat. So, the lower the Ghost’s level, the easier it is to defeat them. If you banish Ghosts, you receive valuable rewards, such as resources and useful items, and more importantly rune fragments needed to create runes in the Rune Workshop. Only Shamans who have learned the “Unlock Ghosts” Knowledge corresponding to the Ghost’s level can banish Ghosts. 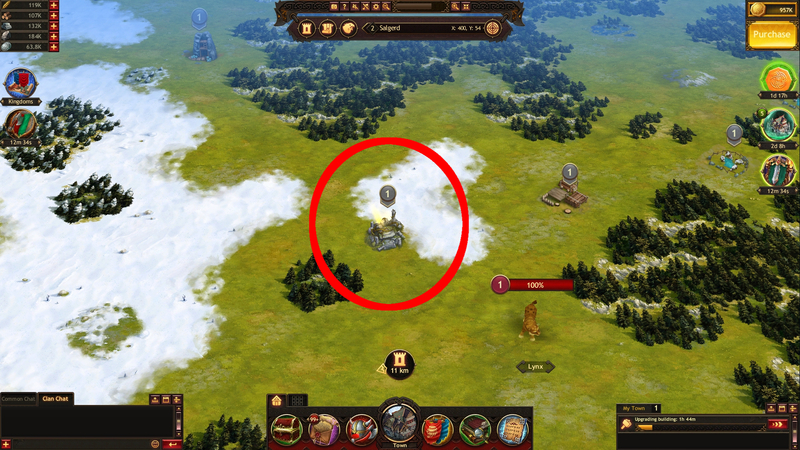 The mechanics of banishing Ghosts is exactly the same as attacking resource locations and other Jarls’ Towns. Please note that this action is only available for Shamans. The Shaman’s power reserve must also be sufficiently high for a banishment. The stronger the Ghost, the more power required to perform the banishment. 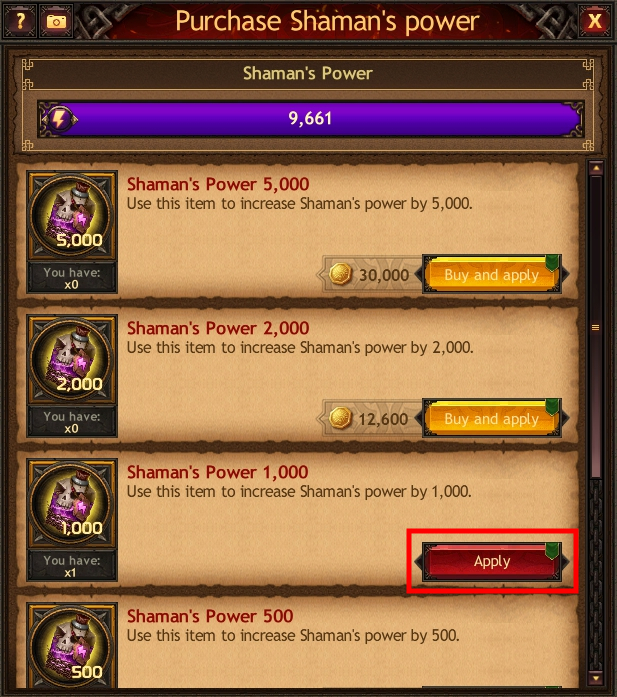 You can increase the Shaman’s power to 500,000 units using the Shaman’s Power items, which may be obtained as a reward or purchased in the Item Store. Please note that there are two types of attacks used against Ghosts: normal and enhanced. During a normal attack, your Shaman inflicts only 1 hit to an opponent and uses a fixed amount of energy. During an enhanced attack, the Shaman inflicts several hits to a Ghost at once. The more power the Shaman has, the greater the number of hits. Please note that there is a Sustained Attack mechanic in the game. It works in the following way: if you land several consecutive attacks on a Ghost within an hour, your Shaman’s offense is increased with every new attack. The number of consecutive attacks that provide additional offense as a bonus can be increased if you upgrade the corresponding Knowledge and Shaman’s Skills. 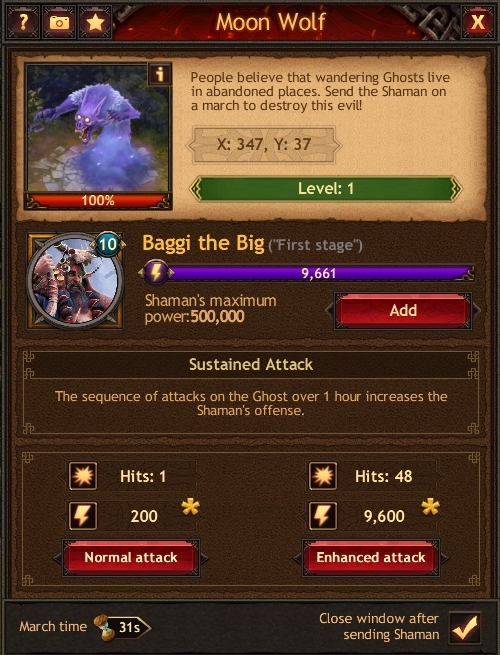 Please note that the Sustained Attack is attached both to the Ghost and the Shaman. For example, if there have already been 4 attacks on a level 6 Moon Wolf during an hour, and the bonus is at 60%, attacking another Ghost or selecting another Shaman will reset the counter to zero, and the Sustained Attack will start over. A Ghost's Shelter is a location that appears on the Global Map after your own or another Jarl’s Shaman has banished the Ghost. 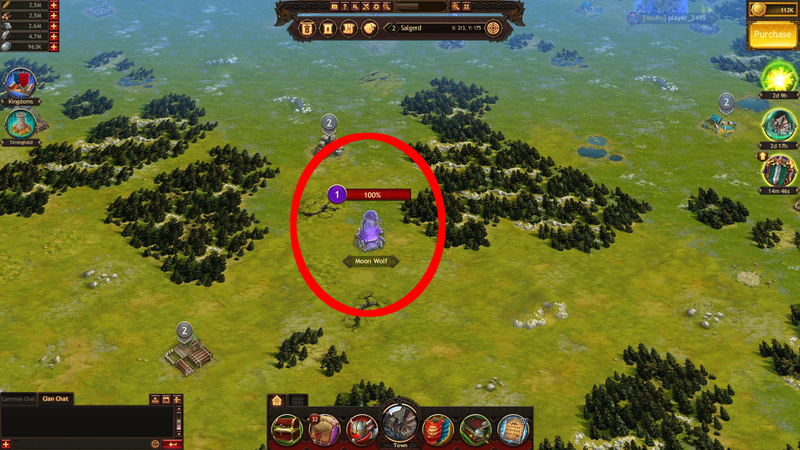 Send your troops to yield in Ghosts’ Shelters to receive rune fragments. 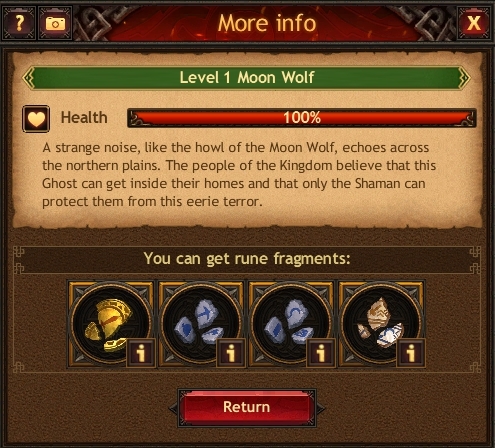 Rune fragments can only be obtained when the Shaman attacks Ghosts, or when yielding in their Shelters. These fragments are used to create runes, which give substantial bonuses to core stats.